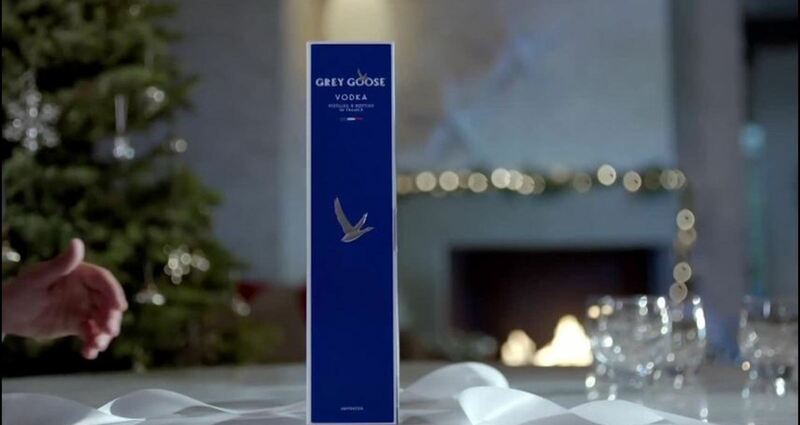 As a centerpiece of the integrated campaign—which included two broadcast television spots (:30 and :15), multiple print pieces, digital placements and social amplification through a series entitled 12 Days of Cocktails—“The Gift” creates a holiday context for Grey Goose and gives consumers a new way to recognize the extraordinary people in their lives. As a central theme of their recently-launched global advertising campaign, Fly Beyond, Grey Goose celebrates the spirit of people who achieve the extraordinary—inspired by company founder Francois Thibault, who went against the grain to develop a super-premium vodka in Cognac, France. So as Grey Goose prepared to launch a special new holiday gift box, we crafted a campaign that celebrates those who defy expectations—tapping into the natural desire during the holidays to recognize the people in our lives who have done something exceptional. This new gift box is the focus of our spot, framed as “The gift for those who Fly Beyond” and displayed in the modern, luxurious setting where it might be enjoyed among friends—set against the classic Eartha Kitt track, C’est Si Bon. The spot was produced in partnership with renowned tabletop director Irv Blitz, including the development of a custom animation that brings the iconic Grey Goose bottle to life as a tribute to their Fly Beyond story.